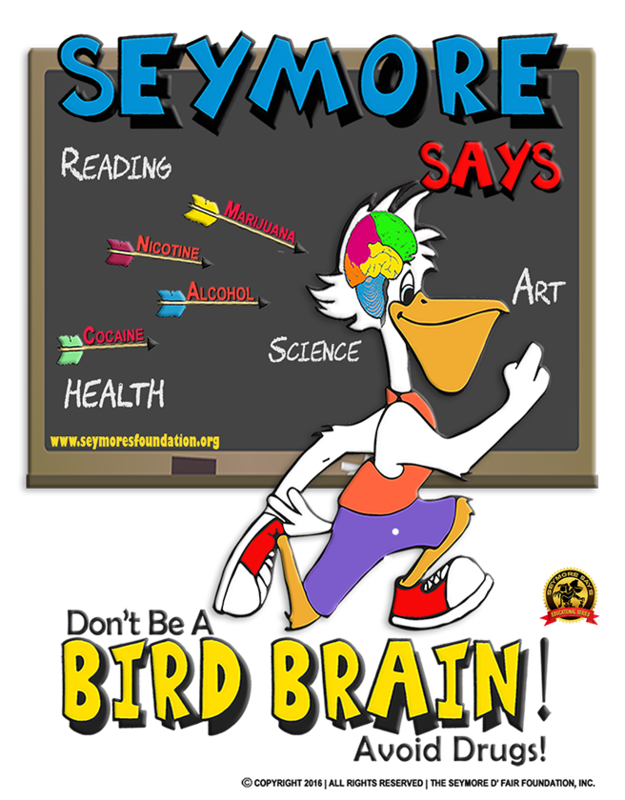 All About Seymore's Programs — Seymore’s Foundation is a non-profit dedicated to delivering drug education solutions for Elementary & Middle Schools! Starting Spring 2019, Louisiana vehicle owners can per-order Seymore’s “Louisiana is Better with ME 100% Drug-Free!” specialty license plate and help the children of Louisiana by promoting a life drug free. When vehicle owners purchase a “Louisiana is Better with ME 100% Drug-Free!” plate, proceeds from their purchase are dedicated to supporting the creation of drug awareness, education and prevention programs for elementary and middle schools. To celebrate the legacy of DEA Special Agent Kiki Camarena, not for a week, but all year long! Team Seymore has developed Seymore Salutes “Kiki’s Red Ribbon Celebration”. Kiki’s celebration is designed to facilitate school and community engagement across Louisiana and America to keep children and families safe and drug free. Seymore encourages all communities to support the “America & Louisiana Is Better with ME 100% Drug-Free!” campaign and for schools to join Seymore Salutes “Kiki’s Red Ribbon Celebration” throughout the school year. Scheduled for release during the 2019/2020 school year, this exciting new drug education curriculum is developed by ‘educators for students’ illuminates the human brain and the effects of medicine and drug use and misuse. The program combines hands-on classroom activities, pre and post assessments and take-home components creating an imaginative and comprehensive learning experience for students while advancing parental and community engagement. Beginning 2019, Team Seymore’s goal is to introduce annual drug prevention education to every Elementary and Middle school student. To reach that goal, Team Seymore will provide individual drug education training to 30,000 educators employed in 1500 charter, parochial, private, and public schools in Louisiana. In turn, these trained educators will provide classroom instruction to more 600,000 Elementary and Middle school students.